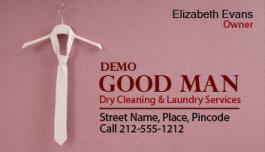 There is no dearth of dry cleaning services in the city and most of them thrive through word-of-mouth marketing. Attracting new customers and extracting loyal customers out of them is becoming a tougher task. Dry cleaning services can act smart by improving their visibility and making their business messages stick for long by availing these customized 2 x3.5 dry cleaners business card magnets square corner – 20 MIL. These magnets are unlike other regular paper based business cards and offer stellar space for imprinting business information. Request a quote to know wholesale price benefits for promotional 2 x3.5 dry cleaners business card magnets square corner – 20 MIL.